800ml water bottle suited for travelling that instantly filters water in undeveloped countries so it's safe to drink. It gives you a convenient drinking option suitable for travel that's a low-cost alternative to boiling, purification drops, and bottled water. Used by humanitarian organisations around the world. Get instant access to safe drinking water, wherever in the world you are, with the 800ml Travel-Safe Water Filter Bottle. No need for boiling water, purification drops, expensive bottled water and all that stress. Simply fill your bottle from any water source (tap, stream, river or lake – even in third world countries) and enjoy safe, clean drinking water straight away – free of viruses and bacteria. 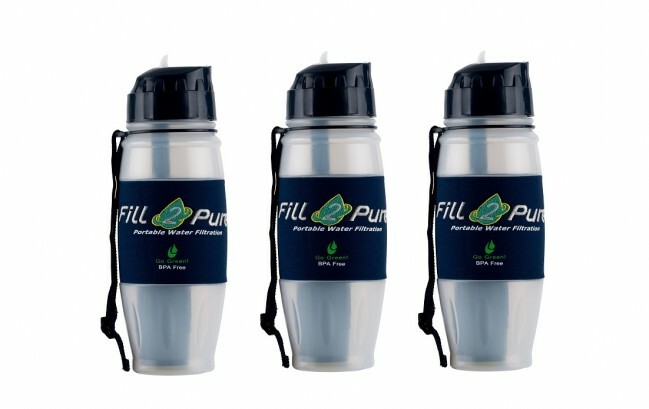 The Travel-Safe Water Filter Bottle contains the sophisticated Fill2Pure Advanced Filter. This is what makes it one of the best in the world: it removes up to 99.99% of chemicals and other contaminants PLUS it will also protect you against up to 99.9999% of viruses and bacteria in water – something other water filters cannot remove. You need a bottle that is easy, safe and always reliable. This lightweight Travel-Safe Water Filter Bottle is made from premium quality BPA-free plastic – so it’s 100% safe and made to last through all your explorations. What about cross-contamination from your hands? Have no worries because the smart no-touch spout prevents that. Ever thought about how much plastic waste all the bottled water you’ve been consuming creates? 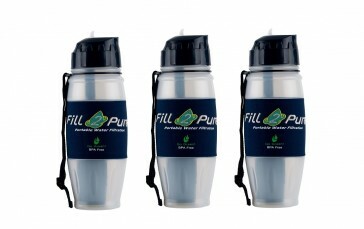 Keep plastic bottles out of landfill and reduce your plastic footprint by using the Travel Safe Water Filter Bottle. It will also save you money on unnecessary bottled water consumption. 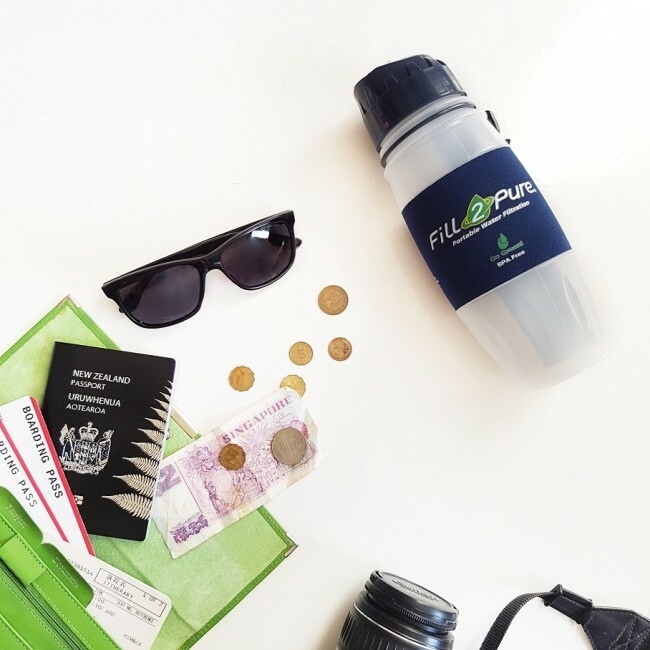 Around the world, the Travel-Safe Water Filter Bottle is a proven convenient lifesaver and low-cost alternative to other water purification methods in tough situations. Note: We recommend that you use your bottle before you travel so if you have any questions it will be much easier to contact us than doing so when you’re out on your exploration. 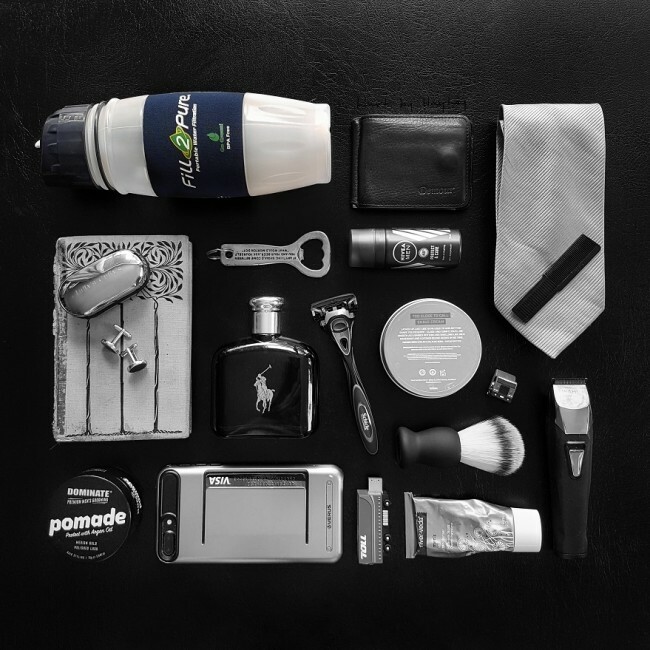 • The Travel Safe Bottle will come with a Navy Neoprene Sleeve and a hand strap.